Situated in the suburbs, this aparthotel is within a 10-minute walk of Chatswood Interchange, Mandarin Center, and The Concourse. Willoughby City Library and Westfield Chatswood Mall are also within 10 minutes. Sydney Chatswood Station is only a 2-minute walk and Sydney Roseville Station is 19 minutes. Situated in Chatswood, this apartment building is 2.4 mi (3.8 km) from Royal North Shore Hospital and 3.1 mi (5 km) from Mater Hospital. Luna Park and Sydney Harbour Bridge are also within 6 mi (10 km). Sydney Chatswood Station is 8 minutes by foot and Sydney Roseville Station is 22 minutes. 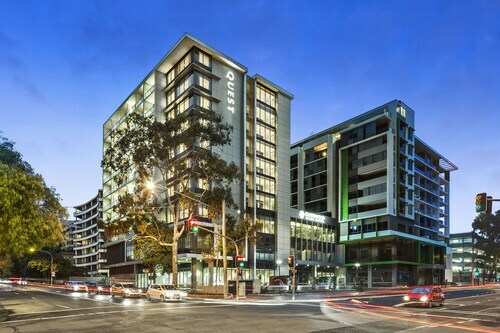 Located in the heart of Chatswood, this apartment building is 2.2 mi (3.5 km) from Royal North Shore Hospital and 2.9 mi (4.7 km) from Mater Hospital. Luna Park and Sydney Harbour Bridge are also within 6 mi (10 km). Sydney Chatswood Station is only a 4-minute walk and Sydney Artarmon Station is 17 minutes. 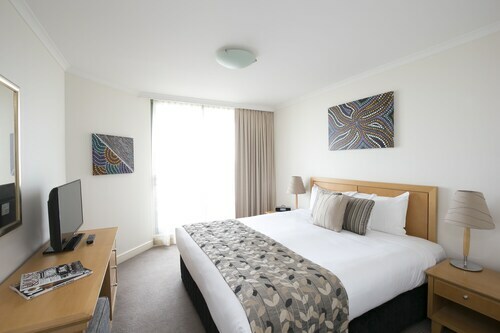 Situated in the business district, this aparthotel is 2.2 mi (3.6 km) from Royal North Shore Hospital and 2.9 mi (4.7 km) from Mater Hospital. Luna Park and Sydney Harbour Bridge are also within 6 mi (10 km). Sydney Chatswood Station is 10 minutes by foot and Sydney Artarmon Station is 19 minutes. 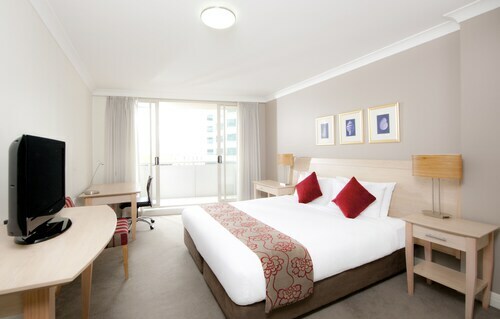 Situated in Chatswood, this hotel is 2.2 mi (3.5 km) from Royal North Shore Hospital and 3 mi (4.8 km) from Mater Hospital. Luna Park and Sydney Harbour Bridge are also within 6 mi (10 km). Sydney Chatswood Station is 9 minutes by foot and Sydney Artarmon Station is 22 minutes. Keen for a shopping adventure away from the crowds of the big city? If ‘yes please’ is your answer, then Chatswood is just right for you. Located just 10km north of the Sydney CBD, this metropolitan suburb has awesome shopping, delicious eats and a multicultural feel, and a stay in one of our Chatswood hotels will help you enjoy it all! 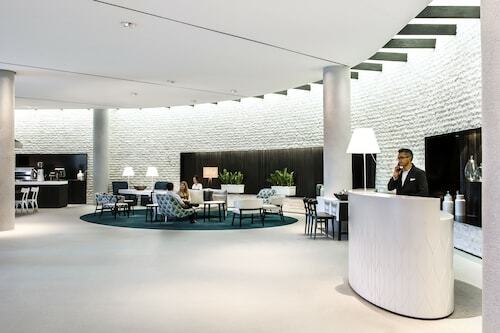 As one of the major commercial and retail districts on Sydney’s North Shore, it’s no surprise that Chatswood can be described as a city away from the city, with towering office blocks and apartments visible from almost anywhere in the area. There may be plenty of professionals here, but the area’s main drawcards will no doubt appeal to everybody. The suburb has Chatswood Chase and Westfield Chatswood, two large shopping centres with hundreds of speciality stores. 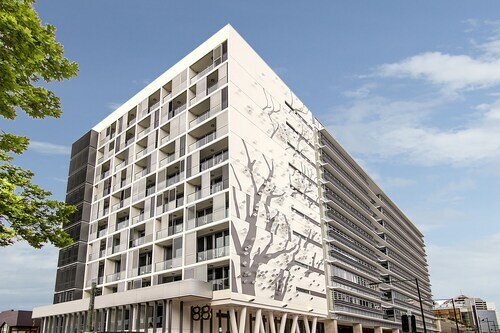 Chatswood Chase is focused on upmarket and fashion stores, with a David Jones, Apple Retail Store and many Australian and international designer boutiques to browse. For a day out the whole family will enjoy, Westfield Chatswood has plenty that will appeal, including Myer, Toys ‘R’ Us, youth fashion and a Hoyts Cinema complex. Still in need of retail therapy? Smaller shopping centres such as Lemon Grove and Mandarin Centre will sate your appetite. If you’d rather swap indoor shopping for sunshine and fresh air, Victoria Avenue is perfect for you. A pedestrian mall lined with trees and stores showcasing popular brands, it comes to life every Thursday and Friday when the Melody Markets are held. Pop by the markets and you can expect live entertainment from local community groups, fashion and craft stalls and food from all corners of the globe. If you miss the markets, don’t fret – Chatwood has plenty of great Chinese, Japanese and Korean eateries throughout the suburb. Chatswood also celebrates its multiculturalism during the Willoughby Spring Festival, held in September every year. During this time, expect to see ladies dressed in traditional Chinese outfits, street performers, art displays and even a float parade. It’s easy to get to Chatswood, with many bus services leading to and from nearby areas such as Bondi, Manly, Ryde and the Sydney CBD. If that doesn’t seal the deal, nothing will! 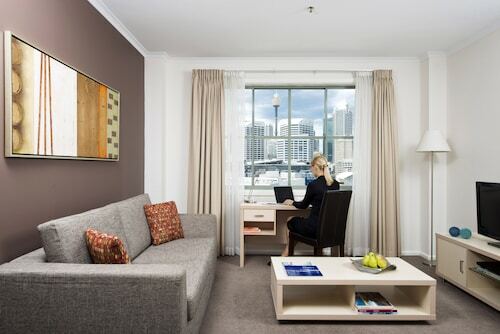 Book from our range of Chatswood accommodation below and get ready to shop ‘til you drop. How Much is a Hotel Room in Chatswood? 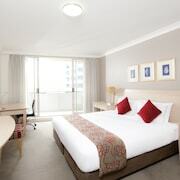 Hotels in Chatswood start at AU$110 per night. Prices and availability subject to change. Additional terms may apply. 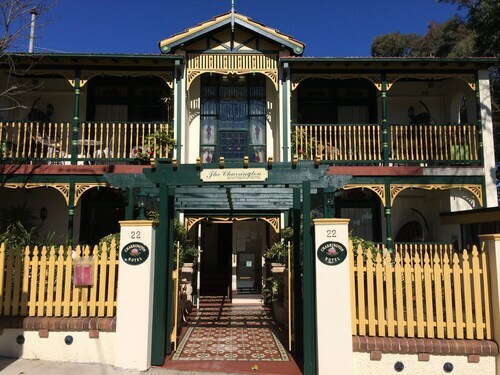 Close to everything, good lsize rooms, excellent buffet breakfast with proper coffee! !